The folks behind Prisma, which was the first AI-powered art filter app for your photos, have come up with a new toy for your iPhone: Sticky AI. Fire it up and snap a selfie, and Sticky will isolate your likeness from the scene and turn it into a stylized sticker. You can also shoot a short animation, Boomerang-style and apply effects to it. Once you’re done, you can add some text and share it to other apps. Sticky is simple enough to use and is fun for a few minutes, but the effects are limited to just a couple of brush-stroke styles for now. 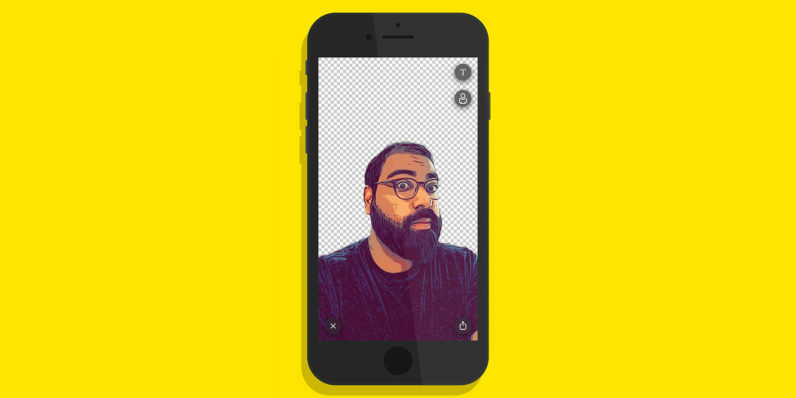 It’s not nearly as interesting as Google Allo’s illustrated selfie sticker packs, so I don’t see it sticking around for long on people’s homescreens. A few more filters and options to add backgrounds might make it more compelling. The free app is available now in the App Store; an Android version is in the works and should be out in a couple of weeks.